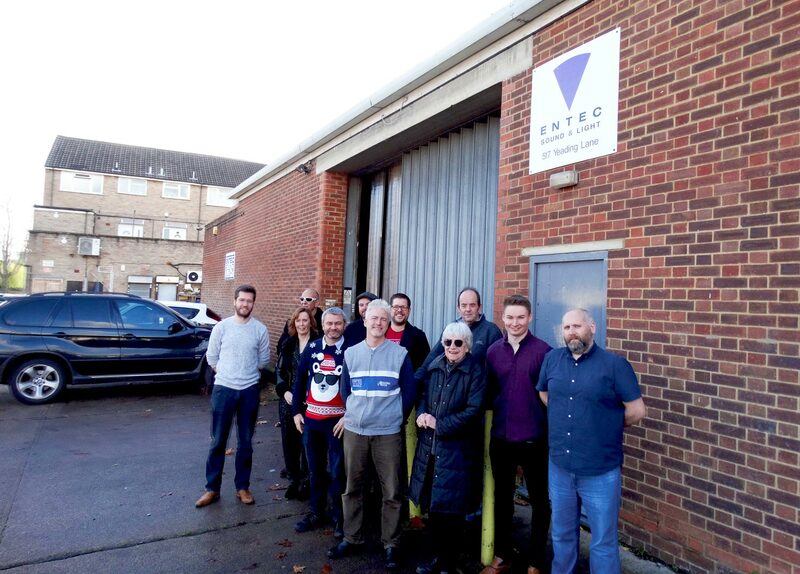 With its 50th anniversary year drawing to a close, Entec Sound & Light is delighted to announce that it has completed the purchase of the freehold of its warehousing and office buildings in Northolt, Middlesex – its location since January 1991. As the company approached the end of its lease agreement, it began searching for a new location. After visiting more than 60 potential warehouses, however, it was clear that no other property was able to offer the comprehensive range of facilities already available at its current home, situated close to Heathrow Airport, with convenient access to central London and the rest of the UK via the M25, M40, M4 and M3. Entec staff and directors gather outside the main Northolt building.